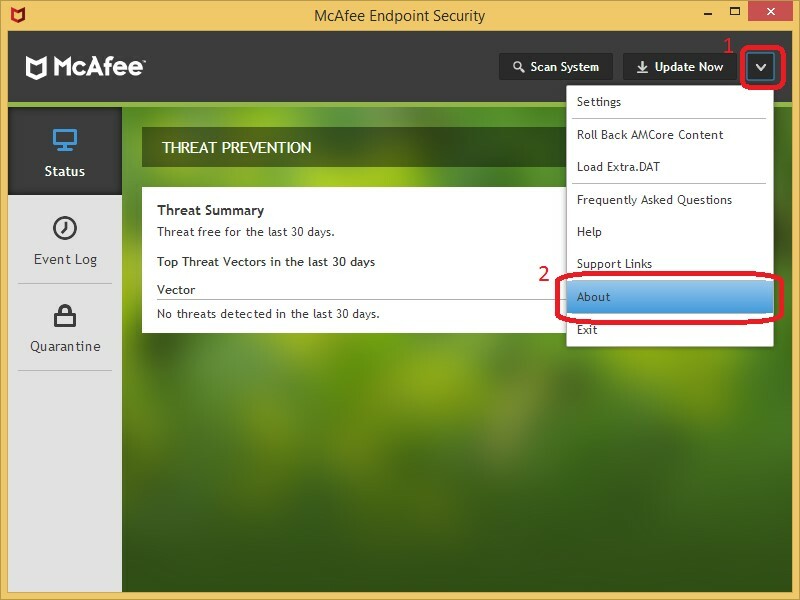 What is McAfee Endpoint Security? 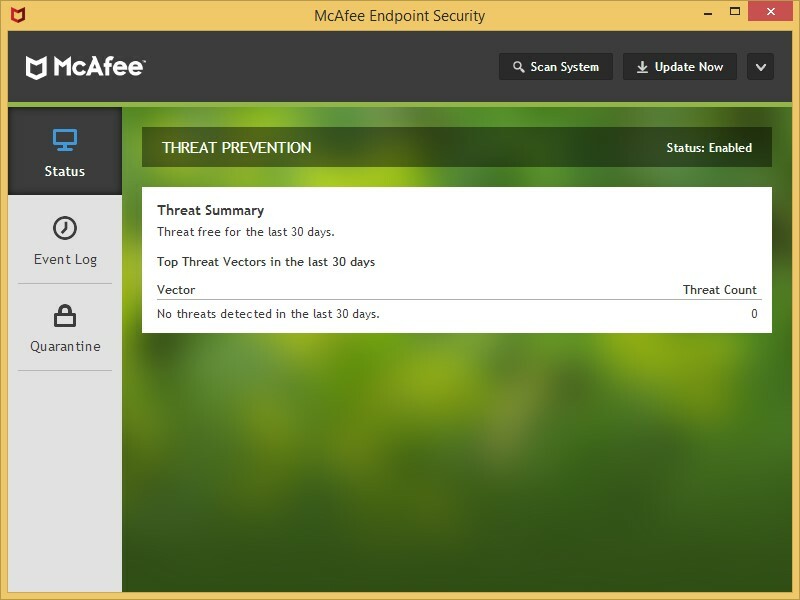 McAfee Endpoint Security is the latest antivirus product from McAfee. 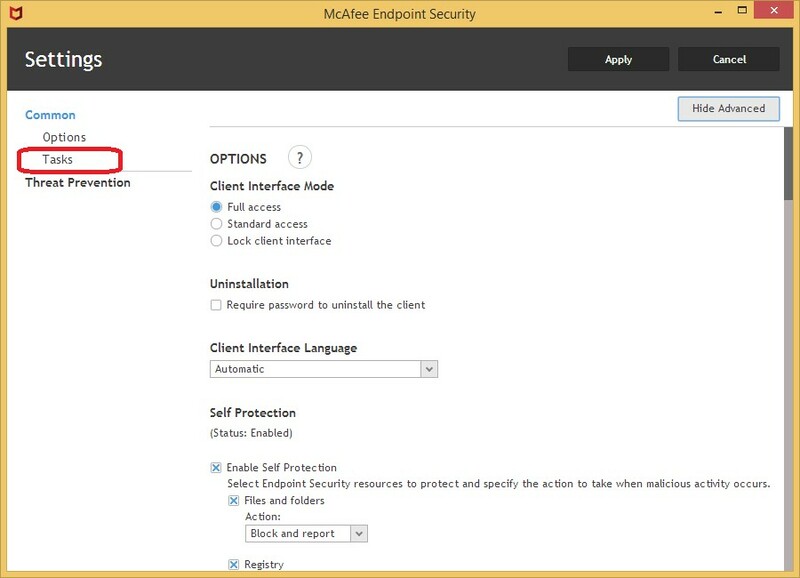 The McAfee Endpoint Security provides stronger protection, better performance and threat detection effectiveness. 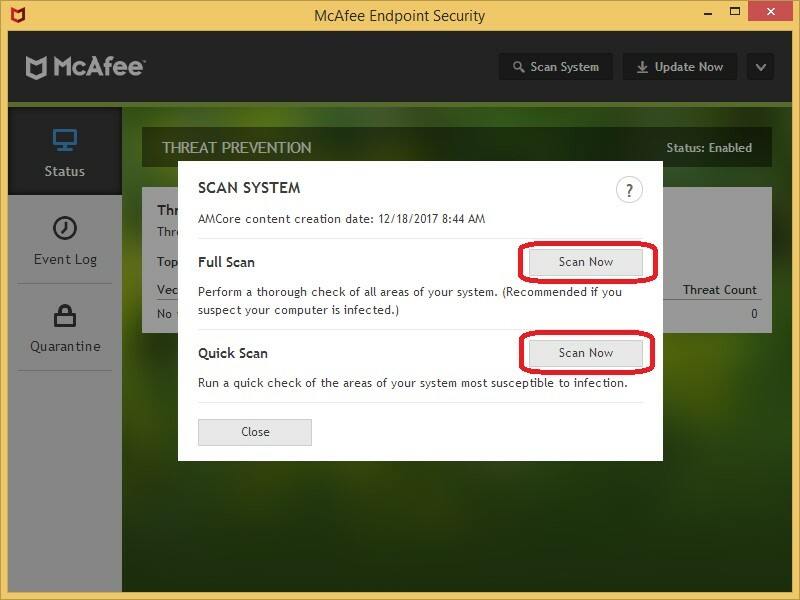 What is the difference between McAfee VirusScan Enterprise and McAfee Endpoint Security? McAfee Anti-Malware Engine Core (McAfee AMCore), the anti-malware scanning technology of the Threat Prevention module, provides enhanced capabilities to react emerging and advanced malware threats with speed and efficacy. It intelligently scans only items that really need to be scanned, instead of scanning all items equally. Zero-impact scanning is an on-demand capability that runs only when a system is in idle state which based on keyboard events, mouse movement, and full-screen mode. It improves the performance of the system. Threat Prevention module provides a content-based Exploit Prevention capability. This capability provides a broader range of coverage against vulnerabilities and exploits, such as Generic Buffer Overflow Protection and Suspicious Caller Protection. 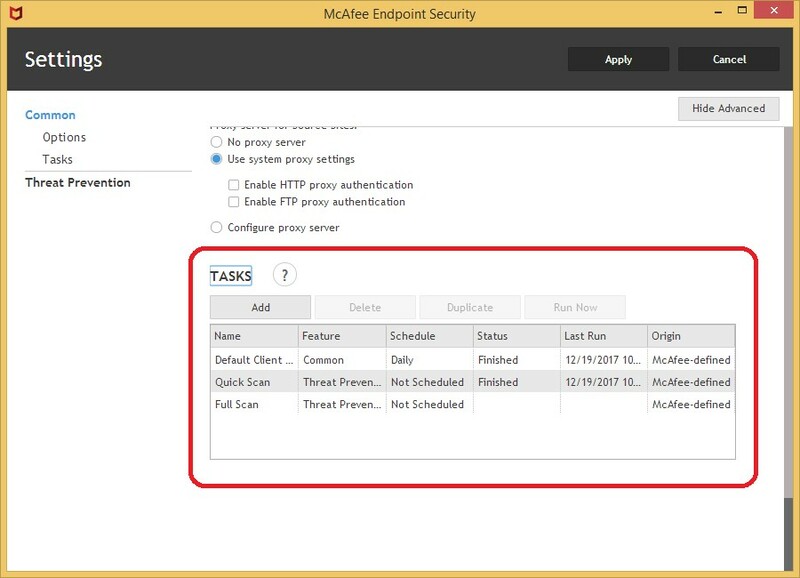 In addition to the Threat Prevention module, McAfee Endpoint Security can integrate the Firewall module and the Web Control module if needed. What operating systems are supported by McAfee Endpoint Security? What is the difference between the appearances of McAfee icons? 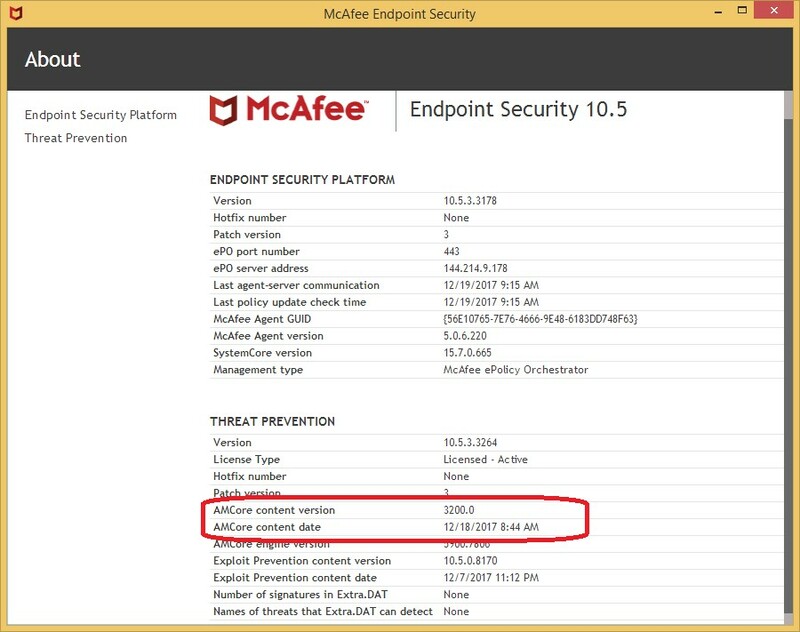 New McAfee system tray icon is used for McAfee Endpoint Security instead of the icon for McAfee VirusScan Enterprise. 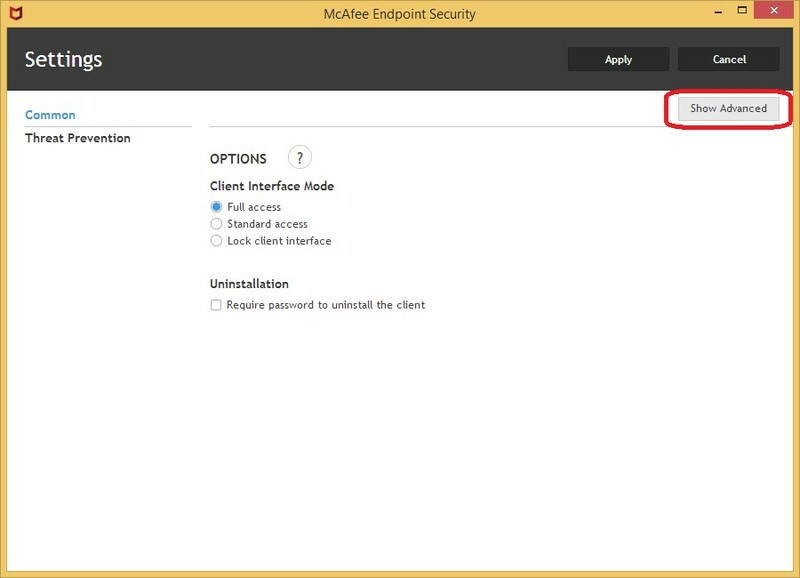 How to open McAfee Endpoint Security status program? 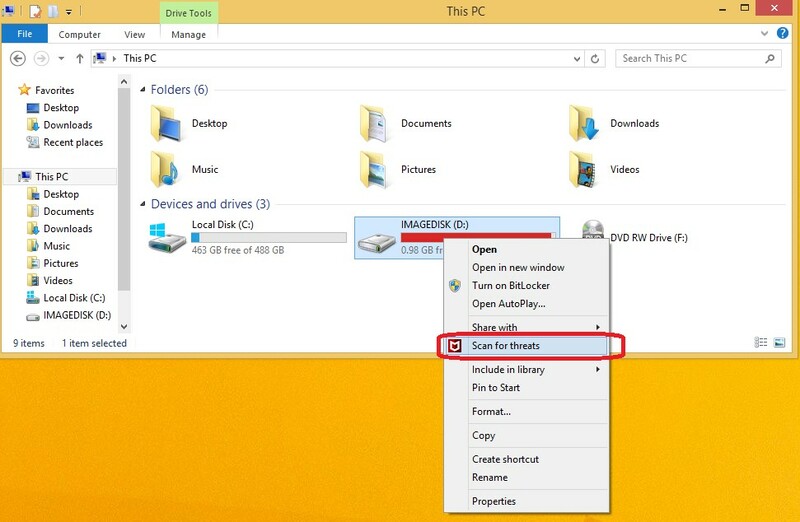 Right click the McAfee system tray icon at the bottom right corner of the taskbar. 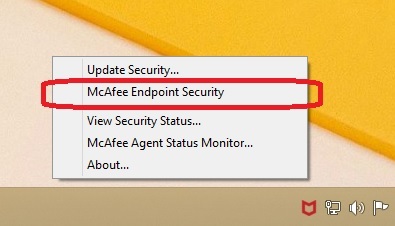 When a pop-up menu appears, click the menu option “McAfee Endpoint Security” to open McAfee Endpoint Security status program. How to perform Full Scan or Quick Scan on a computer? How to perform on-demand scan to scan a drive or folder? The “Scan for threats” will be performed. What is AMCore content files? 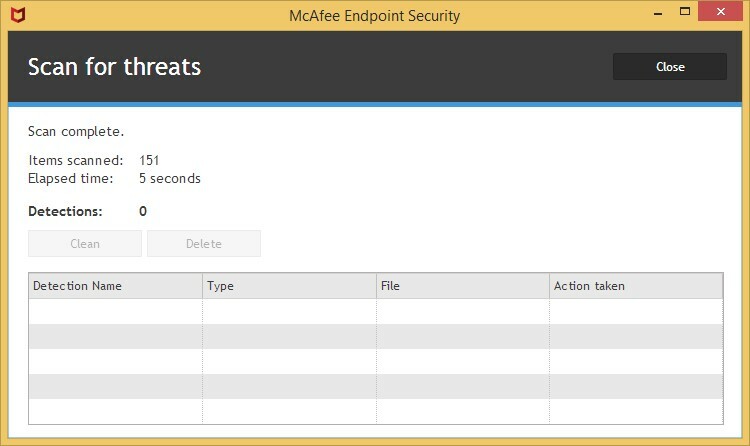 When McAfee Endpoint Security searching files for threats, the scan engine compares the contents of the scanned files to known threat information stored in the AMCore content files. AMCore content files contain information (signatures) for cleaning and counteracting damage that the detected virus can cause. 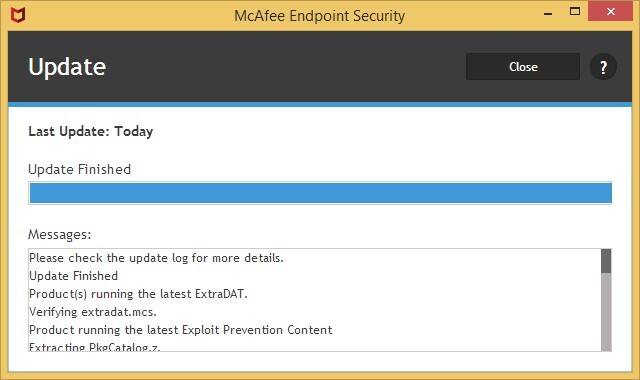 McAfee Labs finds and adds known threat information to the content files, then releases these updated content files regularly. How to check the AMCore content version? The AMCore content version will be shown. How to update the AMCore content files of McAfee Endpoint Security? How to schedule the scanning or updating tasks? Add the scanning or updating tasks in the schedule list.